I’m pretty sure my gift is in that sled. ◆ As Hanukkah ushers in the blessed season (Dec 3)we who live in Santa Fe have much to be grateful for. Times when I do get cranky about Santa Fe, I just have to look at the weather and disaster reports from other places both in the US and across the globe, and I can’t imagine living anywhere else! We even have snow this year!!! ◆ Greeting cards. For a truly local and unique greeting card, wander up to the red counter and browse through our local artists’ Christmas and all-purpose cards. ◆ Book now – Joe’s Red Room is perfect for your Holiday Party. It seats up to 34 people. ◆Watch him work. Richard Eeds broadcasts theRichard Eeds Show live from Joe’s each 1stFriday of the monthfrom 1-5pm on Hutton 1260 AM KTRC. Richard knows everyone in New Mexico – no joke! He keeps us abreast of all the New Mexico happenings. ◆ A Tuesday night tradition at Joe’s – Spaghetti and Chianti Night. $34 for two will get you Caesar Salad, Spaghetti with homemade Bolognese and a½ ltr of great Chianti. Wadda deal! The Bolognese sauce is made with our grass-fed-and-finished Berry Ranch beef. ◆ A sweet treat or impromptu gift for your dear ones? Joe’s melt-in-your-mouth French chocolate truffles. 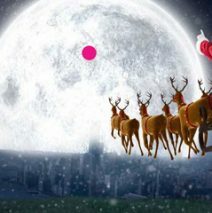 ◆ The Holiday season and New Year typically stimulate new resolve regarding our health, our weight, our fitness. There is soooo much information available now (thank you Google, et al) how do we sort through what works and what doesn’t? Personally, I was forced to do a lot of experimenting and researching – my blessings have on occasion been disguised as health crises. Through the downs and ups of it all, I have tried possibly (no, probably) hundreds of remedies and protocols in attempts to regain mobility, health and vitality. We are fortunate to live in a time when the new, different and unconventional is becoming mainstream. Remember just a few decades ago when yoga and vitamins were considered “fringe”? And now we have access to many non-invasive, yet very effective remedies and technologies for what ails us. And for that I am enormously grateful. Some of those experimental modalities helped me regain my health. What cannot be overlooked, however, are the basics. Here is a list of best health practicesthat can help us keep or re-gain health. 1.GMOs – look for food labeling that says no GMO ingredients. Some of the most common GM foods are soy beans and soy products, beet sugar, aspartame, corn, canola and the animals that are fed those foods (feedlot and industrially raised animals). You will be eating these profoundly toxic “foods” if you eat at fast food outlets. As well, synthesized, manufactured foods like the newest vegan fad “the impossible burger” are not safe and further cannot sustain life let alone health. 2. Vegetable oils in general, except olive and coconut. Perfumed soaps and personal care products. Unfiltered water. Filter it for fluoride and chlorine. Candidiasis – it’s an epidemic. Undermines one’s health in surprising and silent ways. High carb diets contribute. There are simple ways to bring this in balance. Pharmaceuticals.Take the time to each and every drug prescribed for you research (read the insert at least). There might be a natural alternative! The marketing hype would have us believe we cannot be healthy without taking several drugs a day. Big Pharma would have us on some or all of these: lipitor, plavix, cymbalta, abilify, zantac, nexium, prilosec, lisinopril, boniva, actonal and other bisphosphonates, viagra and cialis. I have said before and repeat here, there is a time and place for lifesaving drugs. But long-term they wreak havoc on our bodies creating a toxic sludge and a nightmare of side effects..
Those are the biggies to reduce or eliminate in clearing the path for robust health. Now…the basics – what we needin our everyday lives to stay healthy and vigorous. And guess what? Most of them are not new. Ancient sages knew these health practices and today’s wise health gurus espouse the same advice. 1.Real food. Healthy, whole, often organic and hopefully locally sourced. This is the foundation of good health. Whole food alone has the ability to heal us. Say absolutely “no” to junk food! It’s impossible to be healthy on a bad diet. Even being fit, does not assure that you are healthy. Visit any gym to witness many who are super fit and yet not super healthy. 3.Sunshine. The sun dominates and regulates the planet we inhabit. Sun on naked skin has a huge list of benefits. Those who live above the 35thparallel and those who stay indoors day after day, are at far higher risk for chronic diseases and cancers than those living further south. 4. The weaving of laughter, play, family, friends, pets, nature, social interaction (NOT social media) and spiritual practice. “Lone wolves” who are happy and healthy do exist, but they are very rare! Water – ½ one’s weight in ounces of pure water per day and more if you live in a dry climate like Santa Fe.It’s so very easy to become used to being dehydrated, especially if you are not physically active. These are our basics. What would you add? ◆ DiJa Know– Approximately 75 percent of all the antibiotics in the U.S. today are dumped into factory farm animal feed to keep the unconscionably kept animals alive and force them to gain more weight. ◆ Our current artists (Suzanne Kelly, Roberta Perry and Larry Glaister) would love you to take home some of their works. They are all for sale and make a completely unique gift. The new roster of artists starts Jan.1st. Watch for the works of: Chris Pennington, Nancy Nickerson and Russell Thornton. ◆ Some of the farmers & ranchers who supply Joe’s: They get their seeds from heirloom seed banks, family and friends, their fertilizer from animals and compost and their agronomic advice from tradition: Monte Vista Organics, BerryBeef Ranch, Jacona Farms, Green Tractor, Camino de Paz, Synergia Ranch, Romero Farms, Shepherd’s Lamb, LaMont’s Buffalo, Sweetgrass Co-op, Susan’s Sprouts and others. ◆ Why are we at Joe’s so persistent about this “buy local” stuff? Many factors are out of our hands when it comes to our food supply. Most of what ends up on the American dinner table derives from a shockingly few giant agribusinesses. Their reach is long – from designing the (GMO) seeds to planting, fertilizing, processing and shipping. We as consumers just cannot hand over the entire stewardship of our food to these few multinationals. Our passion here at Joe’s is for a local sustainable food supply – food produced by growers who are as passionate about what they do as we are. KYG – Know Your Grower. We are able to look our local farmer in the eye and ask him about his growing practices or even visit his operation. This gives us the confidence that we are eating food that is healthy,wholesome, non-genetically engineered, often better than organic, humanely treated and minimally processed. It is grown with a smaller energy-use footprint and transported short distances. We cannot divorce human health, the economy, ecology, personal (perhaps spiritual) satisfaction or honorable work from food. Food is fundamental. What we eat, where it comes from, the stewardship of food animals, the nurturing and building of soils – all these factors affect us at a cellular and visceral level. Santa Fe is fortunate to have one of the very best Farmers Markets in the nation. Here at Joe’s we offer this bounty to you, keeping dollars in the community. In the interest of transparency, in 2008 Joe’s spent $30,000 on local foods. Each year that expenditure has grown. We currently far exceed $100,000 per annum (well over 30% of our food purchases). Land, economy, health – inseparable. ◆Joe’s will give you $10. What’s the catch? Well the way we figure it, if you cut out the middleman by NOT using a credit card, we can give that back to you and then some. Credit cards costs the retail merchant about 3-5% and extra time & paperwork. Now let’s be real – in today’s world you can’t function without them. But there are alternatives that reduce our dependency on the Big Banks and actually save all of us money. We have a couple of suggestions: (1.) Joe’s Check List –If you are a “regular” and wish to pay by check, please ask your waiter to get you on the list. (2.) Joe’s gift card– purchase $100 gift card with cashor checkand get an extra $10 value! Pay Saks Disease: A mania for buying gifts and ignoring credit limits. • Seasonal Affection Disorder (SAD): An exaggerated emotional response (shrieking and air-kissing) triggered by seeing acquaintances at annual parties. • Gift-dementia: Loss of memory that causes the accidental re-gifting of gifts back to the same people who gave them to you last year.